I made an iOS app called Heges - you can 3D-scan arbitrary objects with it and get STL (colorless) and PLY (with colors) models out of them. It costs $2.99 (as In-App Purchase) and scanning is available only for iPhones and iPads with FaceID (hence the IAP). Read about all of its features (e.g. Screen Sharing between 2 devices or Mirror-scanning) in the FAQ. You can see how I scanned the statue on the image here. 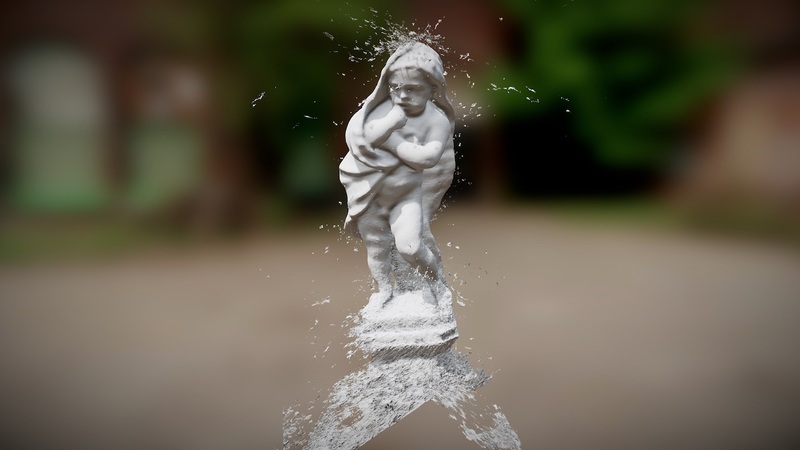 Inspect it at Sketchfab or download the raw STL. very neat - any plans for an intel real sense version ? unfortunately, I don't plan supporting any other platforms than iOS, therefore no real sense. Please share apps link I'll try. (There are several links in the original post (you can try clicking e.g. on the green text "Heges"), but links are unfortunately not underlined when viewing this forum on PC - try loading this post on mobile, the links are visible much better).